For the thousands of Turks who gathered outside Istanbul’s city hall on Tuesday evening, one man loomed large. At the end of the street, a giant image of Recep Tayyip Erdoğan, Turkey’s president, stared down on the crowds. Summoned by a text message from the government, the crowds had gathered for what officials have called “Democracy Watch” – a public rejection of last week’s attempted coup, and a show of support for the Turkish political system. Many were there for one politician in particular. “We love our president so much,” said Ersin Korkmaz, a 29-year-old civil servant who was draped in a Turkish flag and accompanied by his two young daughters. “He’s our best leader since Mehmed the Conqueror,” Korkmaz added, referring to an Ottoman sultan who captured Constantinople in 1453. Finally, there’s the economics. Under Erdoğan, people have become better off. Since gaining power in 2003, his government has made significant improvements to state infrastructure, building a long list of bridges, roads, and metro lines and beefing up the healthcare system. Çankaya, the chauffeur, credited Erdoğan with the change in treatment his poorly mother received at state hospitals. Racked with kidney disease, Çankaya’s mother did not receive proper treatment prior to Erdoğan’s election, but after his reforms, Çankaya said, she was given three dialysis sessions a week free of charge. 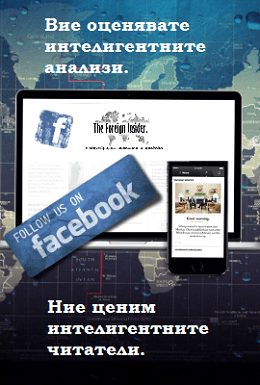 The Foreign Insider is explanatory platform providing unique accounts on terrorism, intelligence and diplomacy in Eastern Europe, the closest region to the Middle East. Our team induces experienced diplomats, journalists and academics who follow the events affecting our lives in depth.